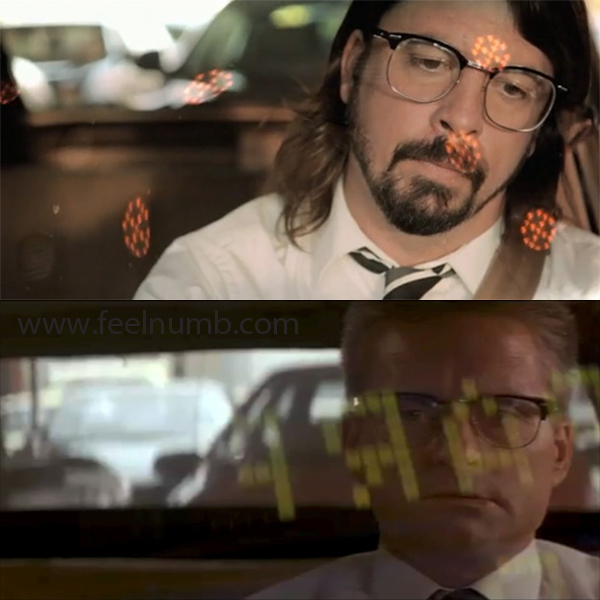 The Foo Fighters video for the song “Walk” is a humorous take on the super intense Michael Douglas film Falling Down (1993). 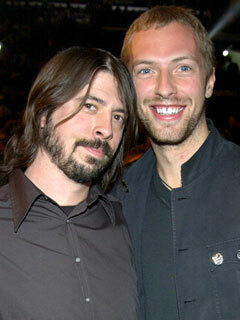 In the video while sitting in traffic, Dave Grohl sees several bumper stickers that do their part in setting him off. 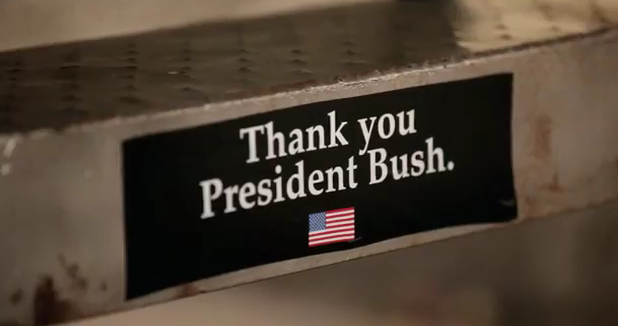 After seeing a COEXIST bumper sticker, he then spots a “Beiber is my copilot” and a “Thank you President Bush” sticker. 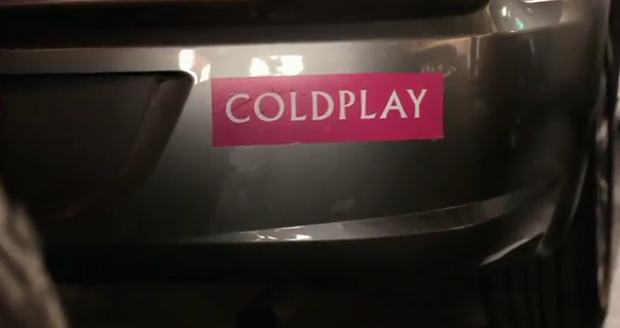 The funny thing is that what really sets him off is when he spots this COLDPLAY sticker. 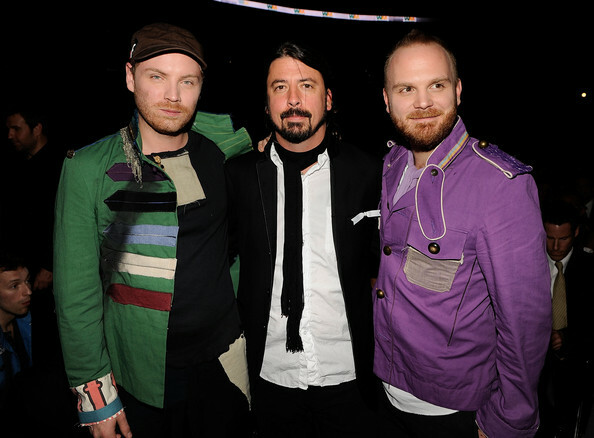 Here’s a photo of Grohl with a few of the Coldplay guys, Jonny Buckland and Will Champion.